Ask fellow campers about "Fort Steele Resort and RV Park" and nearby attractions. Fairly average park with a nice kids play ground and a pool with "brisk" water per other campers. Open terrain so satellite worked. We camped at Fort Steele Resort and RV Park in a Motorhome. 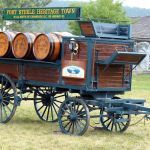 There is Fort Steele Heritage town within a mile for an afternoon of exploration. We booked two RVs for four days. None of the four of us could get on the WIFI for the whole time we were there. Their first excuse was too many people watching netflix, then too may people with their own routers taking up the bandwidth. I woke up one night and tried at 3:00 am to get on, still couldn't. The dumpster was overflowing for all four days we were there. We tried to cancel a further reservation for after the weekend and were told it was a 7 day cancellation policy. I told her we had just stayed four night and couldn't make it Sunday night. Her response was "I just work here" One of our party wanted $10.00 on her debit card to do laundry. She was told they don't do cash advance and to use the ATM. $3.75 fee to get ten bucks is 37% fees. I think they own the ATM. Very little green grass mostly brown and dead. Overall a very uneasy feeling at this park. We will not return. We camped at Fort Steele Resort and RV Park in a Fifth Wheel. There were plenty of empty 50amp sites but they placed us in a site that was right beside a transformer so we had to listen to it hum all night. There is suppose to be free wifi but I was unable to access it. I was told that "people as bring in modems and that is taking over the wifi" but I could "go to the laundry room to see if I could access it as it was a shorter distance". We have camped there 4 previous times and never had a problem with the wifi. The entire campground has been going downhill since last summer. The dumpster was overflowing when we pulled into the campground. We were not impressed and will not be going back. We camped at Fort Steele Resort and RV Park in a Fifth Wheel. Lots of trees. Dirt or grass roads and driveways. Our stay had a rocky start with our "guaranteed" 50 amp site being changed to a 30 amp due to a Fantasy RV tour group coming in overnight and "needing" our site. Although we were not able to get 50 amp site as guaranteed, the owner did go out of her way to find us a site that would make us happier than the site assigned by helping us find a site that would get satellite reception. WiFi was spotty, roaming cellular was also spotty. The store is well stocked, the laundry room is clean and has nice large machine making the $3.50CAD per load not so bad. We did not use the pool. The office staff is great. We camped at Fort Steele Resort and RV Park in a Motorhome. Check-in is at the gas station and store. Service was a bit slow because I had to wait for someone trained in registration. Our site was a gravel pull-though that was close to level and long enough for most big rigs and tows. There was more than enough space between sites on our row to not feel crowded. Some highway noise that was noticeable on rows closest to the highway. Water hookup was towards the front, electrical in the middle and sewer at the rear. This is not the case for all sites, as I noticed different configurations for the water and electric. The sewer outlet was stripped, so not a sealed connection. Picnic table on site, but no fire ring. Large evergreens were spaced between the sites on three of the rows while other areas were wide open. I was lucky enough to find an opening between the trees for satellite TV with my portable antenna, but no guarantees unless you ask for one of the open sites. Wi-Fi worked okay at first, but by evening it was useless. The park needs more bandwidth as there were problems connecting when the park was less than half full. The park is within walking distance of the historic Fort Steele, but the walk is on a busy highway, so be careful. There is a 24 hour laundry behind the store. The public is allowed to use the showers and swimming pool, so it could get a little crowded. Convenient location to the historic town would keep me staying here again. We camped at Fort Steele Resort and RV Park in a Motorhome. Almost all sites are pull thrus which required minor levelling. Sites could use some cleanup from the pine cones scattered everywhere. There is a 24 hour laundromat an a gas station on site. The store is more for over priced souvenirs than groceries. Also on site is a pavilion to rent for weddings,family reunions etc. When passing through the area again we will look for somewhere else to stay. We camped at Fort Steele Resort and RV Park in a Fifth Wheel. We stayed here with an RV tour so I'm not real sure what the price was. I was a pretty nice park, sites were close together but most Canadian parks are. We camped at Fort Steele Resort and RV Park in a Motorhome. We visited Fort Steele (which is nearby) and enjoyed it. The views of the mountains from the park are quite spectacular. This is a fairly large park with a convenience store and gas station on site. We camped at Fort Steele Resort and RV Park in a Motorhome. A half day trip to Kimberley is interesting although the town seems a bit run down from when we were there several years ago. Park is located 1/2 mile from Fort Steele Heritage Park. Sites are big rig friendly, gravel, mostly level pull thru, table, with good utilities which are appropriately located in middle of site. Noise is minimal but site, road and office directions are minimal and hard to find. So, when entering area, stay to the right as going left is the wrong way and parking to register seems to best be accomplished by parking by dump station. We camped at Fort Steele Resort and RV Park in a Motorhome. Fort Steele Heritage Park is close. Spend a minimum of two hours. We stayed here in off season so lots of room between campers. Sites sort of level. Close to Fort Steele. Nice treed sites. We would come here again. 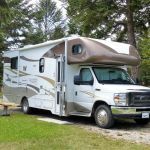 We camped at Fort Steele Resort and RV Park in a Motorhome. Our site was wide and all the hook-ups where well placed, although on some sites it required three lines to get to the sewer line. Not much gravel on the roads or the pads. The grass was dying and unattractive. The park is in a beautiful location and well located to see the area. There is only one trash area and for 3 days it was overflowing there was not enough dumpsters for a park of this size. The park looks like an old KOA that has seen much better days and need of some major TLC. We camped at Fort Steele Resort and RV Park in a Motorhome. If you take a left out of the park the drive is stunning and will lead you to the road that takes you to Fernie. Frenie is a very cute town and worth the drive. The TI has local history with great photos and provide info about the area. A must!! Large park, some trees, office is in the very clean nicely stocked gas station/convenience store. We missed the turn in as there were 3 rv's inline to check in and it looked like they were in line to buy fuel. If you miss it also, there is a paved turnaround just past the entry on the right side of the road. WIFI was not obtainable, but did not drive thru BC to check my email. Beautiful snow capped mountains, great golf courses in the area, according to our neighbor in the park. Easy in and out, (once you find the entrance) fairly open, good utilities. Stayed in a 42 ft with a towed, did not have to unhook. Would stay here again. We camped at Fort Steele Resort and RV Park in a Motorhome. We have stayed here many times as we went to Forte Steele and we enjoy it every time. Our kids always love the playground, the pool, and the shade provided by the many trees. It is so close to Forte Steele which we are so happy about. We are looking forward to returning! Again! We camped at Fort Steele Resort and RV Park in a Motorhome. This family run campground had grassed sites with gravel parking pads. Easy access for pull-thrus. An Esso gas bar with bulk propane was also available, along with a fully stocked small store. WiFi was very strong at our site. Excellent water pressure. 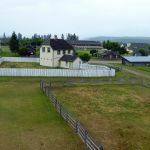 Across the street from Fort Steele National Historic Village. We would definitely stay there again. We camped at Fort Steele Resort and RV Park in a Travel Trailer. 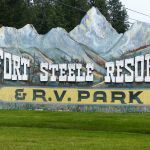 Are you affiliated with Fort Steele Resort and RV Park ?